AfterPay Available: Buy Now, Pay Later! Make 4 fortnightly interest-free payments of $47.25. enhancing and protecting coloured hair. 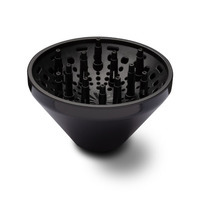 This piece of technology will dry the hair and not dry it out! 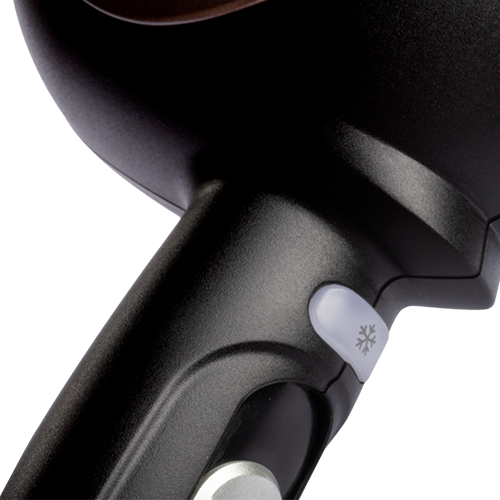 This ergonomic hair dryer is feather light with a rapid drying time and a noise-reduced motor. These are only a few features of innovation of the AirLight which also reduces power consumption and wrist/shoulder pain! 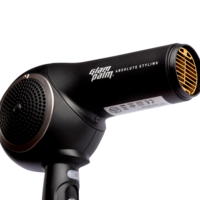 This dryer is all about creating a focused airflow with even speed and temperature, leaving the hair incredibly smooth and shiny with lock-in moisture. 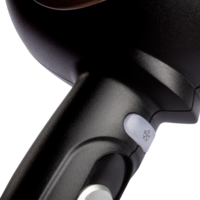 A breakthrough filter-design motor allows for a lighter, faster and quieter hair dryer like never before. Recommended to people with fine hair, short hair or for professionals for doing bridal settings where a constant heat is necessary. 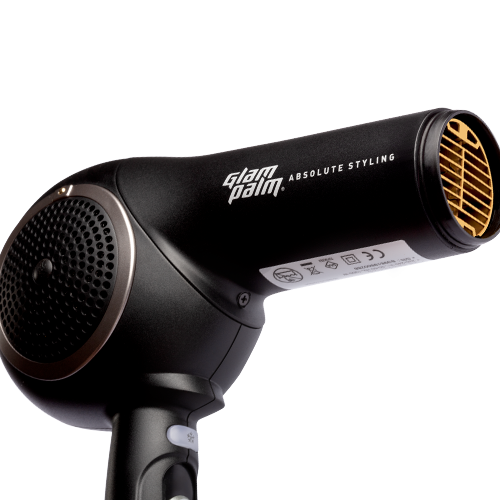 This top-of-the-notch professional dryer is incredibly economical with less electrical energy consumption. No heat-protector necessary - NO more damage! The heat that heals! The GlamPalm AirLight has the Healing Stone Technology™ infused into the heat coils to ensure no damage to the hair is caused. 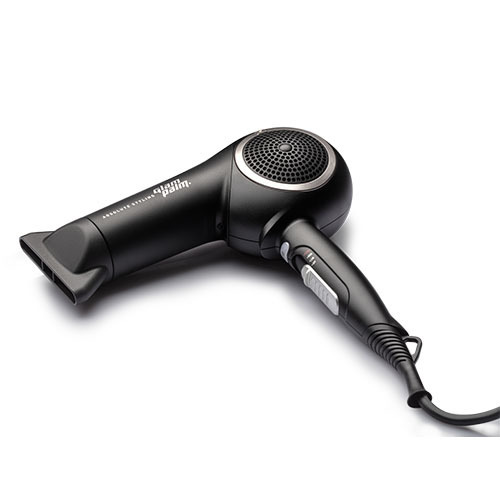 This is why we would recommend one of our hair dryers when using a GlamPalm straightener. 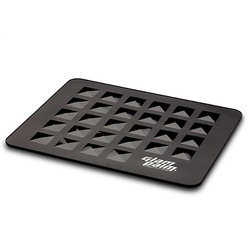 No heat protector necessary - NO more damage! The heat that heals! This dryer is the best I have ever used, by far. 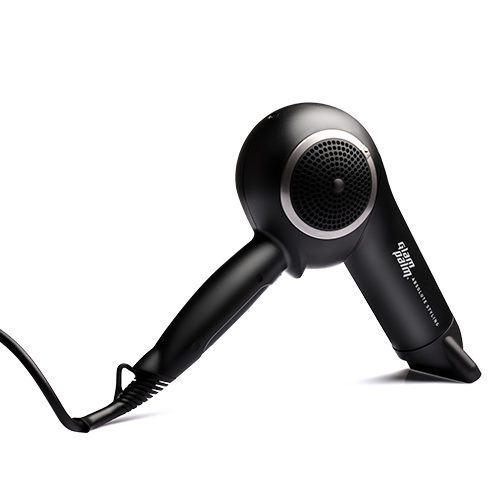 I have fine hair, so I only need to use the first setting and cold setting to style my hair. It's a relief to use such a well made product. 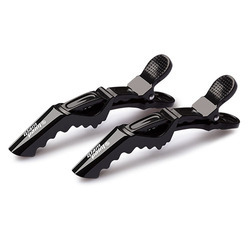 Very light, quiet and efficient, a pleasure to use. Am in my fifties so have seen dryers that are well marketed come and go. This dryer is everything that is said about it. I highly recommend it. Have actually noticed the difference since using this hair dryer. 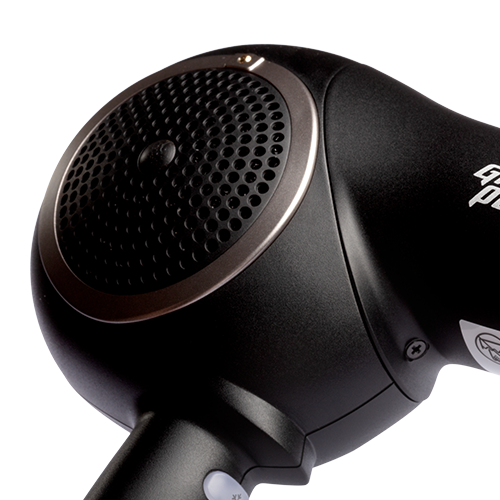 Haven't changed anything else about my gair routine and my hair is noticeably softer and looks much better after drying my hair with this hairdryer. Highly recommend..worth the money. 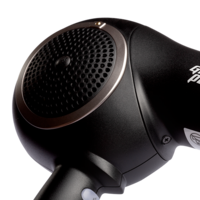 The lightest and most quiet hairdryer I've ever used! The Healing Stone technology really works and my hair ends up smooth instead of frizzy and dry. Fantastic products! Thank you for your quick delivery on the item I ordered. I would highly recommend your product to friends. 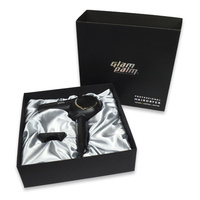 I purchased the hairdryer after being blown away with how amazing my Glampalm straightner was. 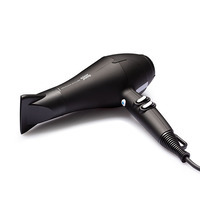 the hair dryer is nice and quiet but does not seem to dry my hair any faster than my old cheapy. was a little disappointed that there was no fastener to roll up the 3m cord like on the straightner but overall I was happy with my purchase. Great blow dryer!! I have really fine shoulder length hair and only took a couple of minutes and it was dry. but nice dry not like fried dry like my previous dryer. Its so super light and still enough power. its amazing! I would really recommend it. I actually purchased this dryer after I got the iron and I will never look back. I'm a CONVERT. One advice dont hesitate just do it you won't regret especially their customer service is just second to none! i cant believe how light this dryer is!! and i dont know if its just me but it feels like my hair dries quicker without feeling dry. my *** air now sits in the cupboard. 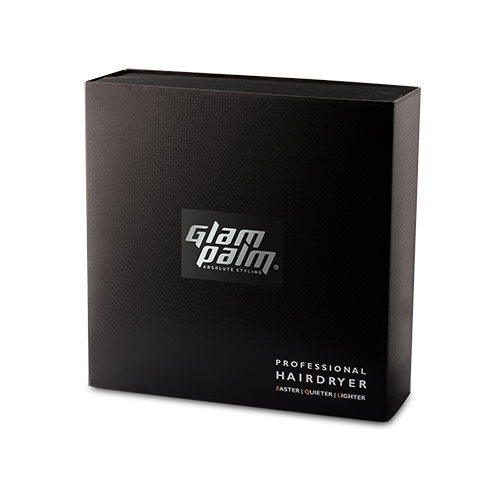 and on top of all this i LOVE the look of the glampalm dryer. so cute. Finally a hairdryer that actually lives up to it's advertising!!! It definitely is LIGHTER and definitely is QUIETER and it definitely does NOT dry out the hair!! 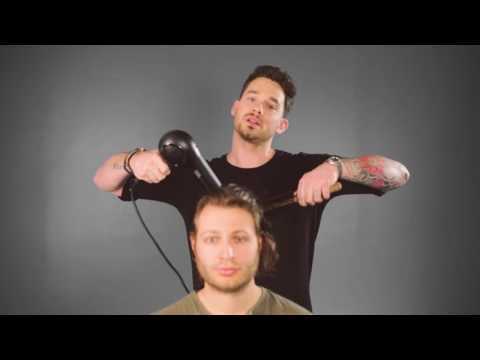 Being a hairdresser for more than 15 years its amazing to see technology like this!! Going to have to try the flat irons now because the hairdryer literally blew me away!! The best I have ever used, sooo light!! Incredible!! 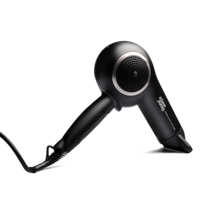 I cannot believe how good this hair dryer is!! I was real skeptical at first because every hair dryer claims to be better but I was looking for a new dryer and really liked the retro look of this one. I have used it for 4 days now and it leaves my hair so soft!! It doesn't feel dry and my hair actually looks shinier without putting any other products in it. 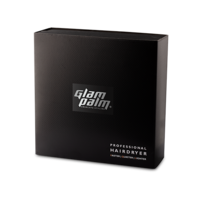 I also use the Glampalm hair straightener after just to style my hair and it's amazing that I don't have to use any heat protectant. Definately recommend this product to everyone!! 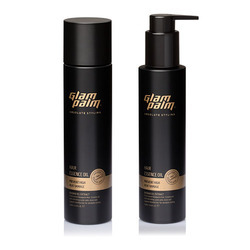 Thank you Glampalm!!!! !